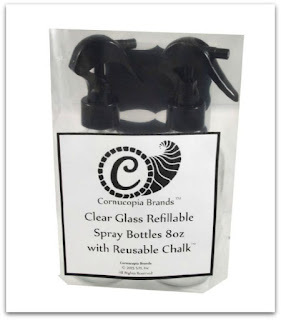 For those of us that like to be DIY Green Cleaners, the Clear Glass Refillable Spray Bottles Reusable Chalk Labels by Cornucopia Brands are kind of perfect. 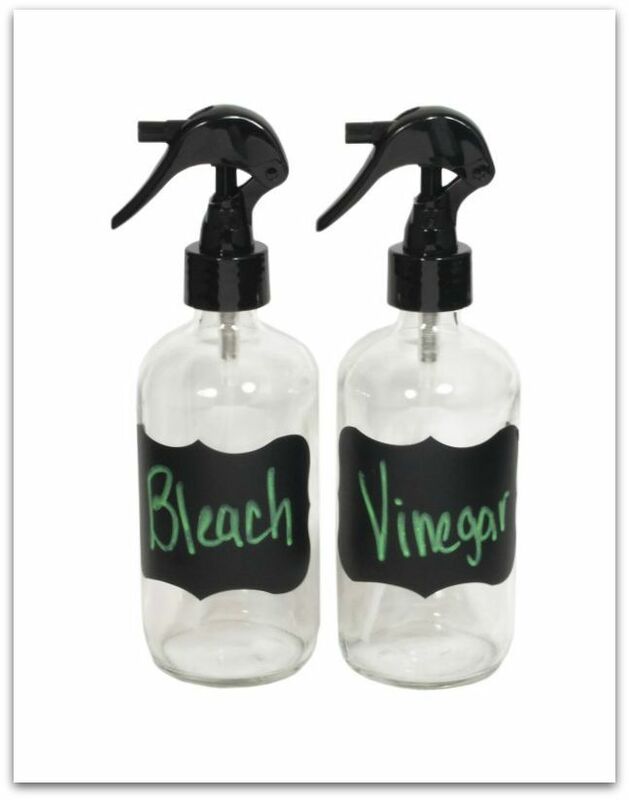 These sturdy 8oz clear bottles come with four chalk labels, making for a highly convenient way to mark and re-mark your homemade household cleaners. This 2 pack 8oz Clear Glass Spray Bottle set ($11.09) is are refillable, BPA free and can be used for more than just household cleaners. They’re a perfect multi-use item and can be filled with essential oils, cooking oils, or plain old water. Obviously you wouldn’t want to use the same bottle for cooking and cleaners or get confused as to what was in which – that’s why there are two bottles and four reusable chalk labels in the set! Can you say eco-friendly! 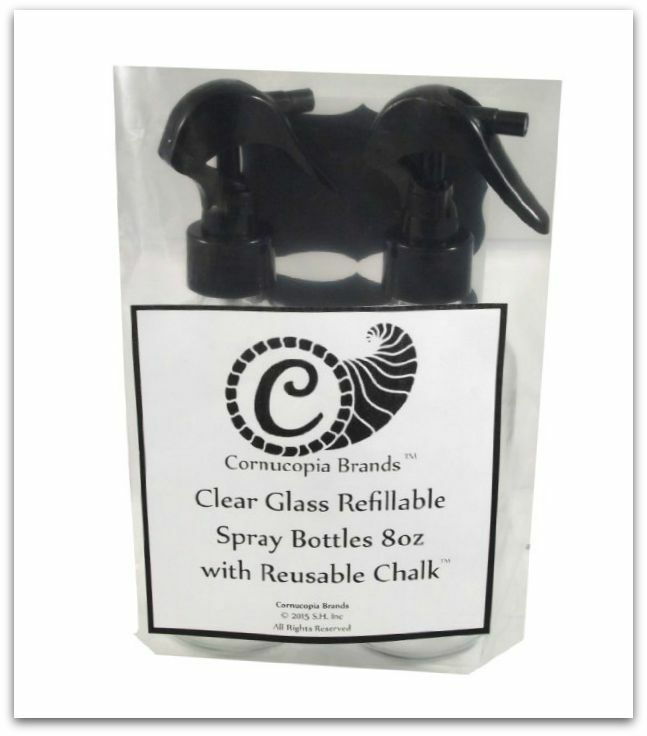 You can get your own set of Clear Glass Refillable Spray Bottles Reusable Chalk Labels by Cornucopia Brands on Amazon!